Richards will be joining Alex Ovechkin in Washington, with whom he has had many encounters before. The rivalry began in the 2005 World Juniors. Ovechkin was captain of Russia, while Richards was captain of Canada. Ovechkin dislocated his shoulder in the Gold Medal Game between the two countries and was forced to leave the game following the second period. Richards, who was one of the main physical factors in the game, likely contributed to his injury. The game left the 19-year-old Ovechkin heartbroken, as you can see below. 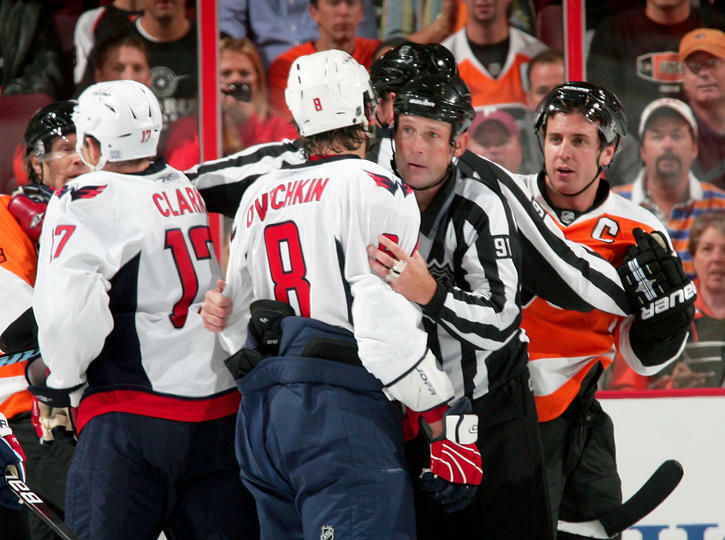 The bad blood between Richards and Ovechkin continued on into the NHL, as Ovechkin had his first career fight against Richards in a pre-season game. They also faced each other in the first round of the 2008 NHL Playoffs in an epic seven game battle that was decided in overtime. They meet again… But now, things are a bit different. While Ovechkin is still one of the most dominant hockey players in the world and the leader of his team, Richards only put up only 16 points in 53 games during his most recent season in the NHL and is trying to turn around his career. It will be weird to see them on the same team but I don’t think it will be an issue. They were just two fierce competitors who crossed paths often during their early years playing professional hockey. Richards is only 30-years-old, and could still have some very good hockey left in him. I love this signing for the Capitals, who currently sit in first place in the Eastern Conference. Even more depth for a team that looks poised to make a serious run for the Stanley Cup this year.